I have managed to bag myself some part worn Goodyear Ultragrip tyres of fleabay. The seller also fits them so I'll get them put on when I go for them. Having not had winter tyres before, when is the optimum time for me to have them fitted? I'm in the North West of England, although it's unseasonally mild at the minute!! You need to check with people locally. Weather varies all over the place. Here in Switzerland I generally wait until the second week of November but then mine are mounted on a spare set of steel rims and if the white stuff comes early I'm good to go. thats the key issue, really, are they on a spare set of rims? I put mine on early November with steels, so my alloys are tucked up for winter. Only downside is my hub caps then go on as well, so I sprayed them all mat black to continue my colour theme. They also give your normal tyres a break from wear, so they last a bit longer. I then stick them back on March / April time dependant upon weather forecasts. I then keep my ckack and go snow chains in boot [ take 30 seconds to install] so ready for the white whereever I may be caught out. As I live 1000ft up mountain I can get home that way. 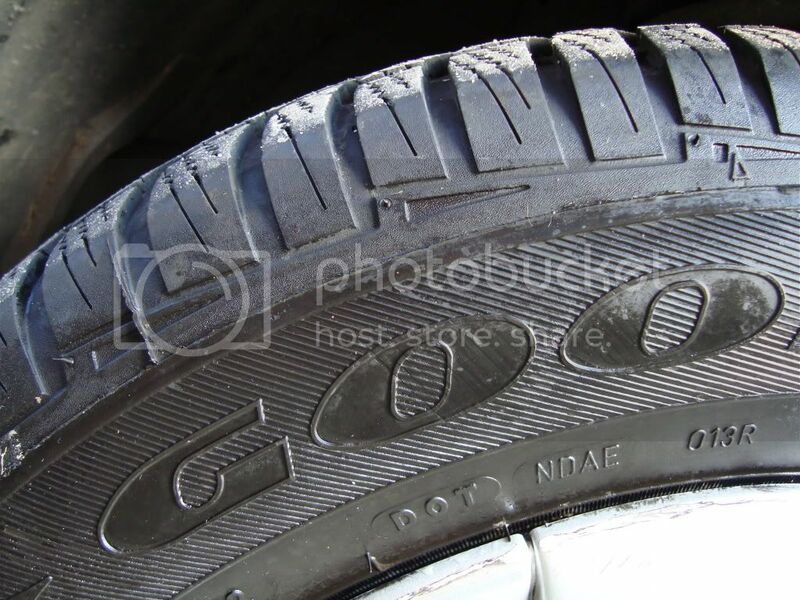 (13-10-2011, 05:07 PM)tucker Wrote: I have managed to bag myself some part worn Goodyear Ultragrip tyres of fleabay. 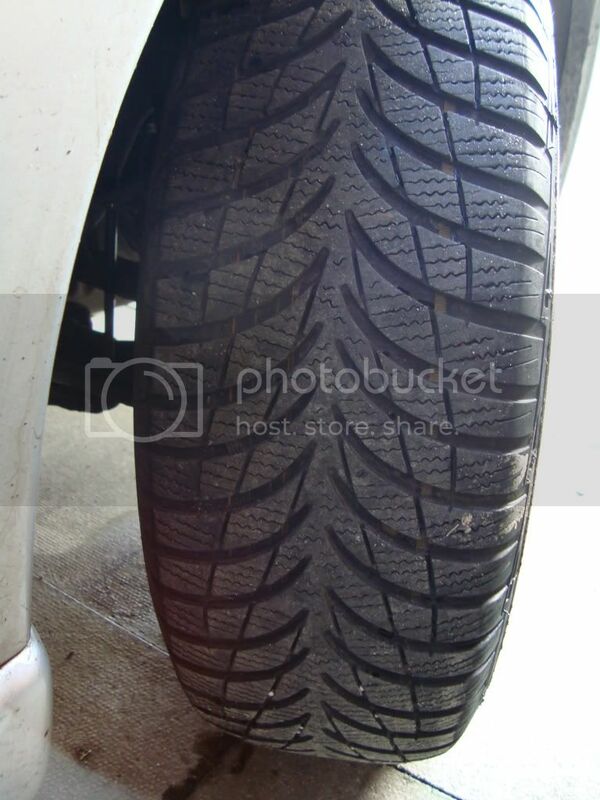 part worn winter tyres? how much MM of tread is left? They allegedly have 5mm of thread minimum. But at £22 each for a £75 tyre it doesn't seem a bad alternative as I wouldn't be doing it at nearly £300 all in. This way will cost me about £100 fitted. They are not on a spare set of steels as yet. But they will be as I intend to trace some spare ones over winter which will become my summer set. I wasn't sure if there was like an average temperature where they become more effective than summer tyres. It is worth knowing that winter tyres are not much use below 4mm. A lot of the ones on eBay come from Germany where they typically change them once they get down to 4-5mm. For £100 though they should do for this winter. The magic number for when they become effective is when the temperature falls past +7 degrees celsius. (13-10-2011, 08:40 PM)Chris Wrote: It is worth knowing that winter tyres are not much use below 4mm. A lot of the ones on eBay come from Germany where they typically change them once they get down to 4-5mm. For £100 though they should do for this winter. Thanks. Given a new one has about 8mm, they don't have a very long lifespan if below 4mm they are not effective. They will be a darn sight better than my current fronts which are little over 2mm left. I was about to spend £120 on two new fronts, so these will do me fine and I don't live up a mountain or anything like that. I mainly want something a bit better for those frosty mornings. Might be an idea to shop around for next winter. I had 4 new Avon Ice Touring fitted on my spare steels for £201. The part worn winter tyres are fitted and very pleased with them. They actually measured 6mm tread left, but the seller always advertises them with a lower min to guaranteed good feedback. Glad you got a deal, they still look like there is plenty of meat on them. 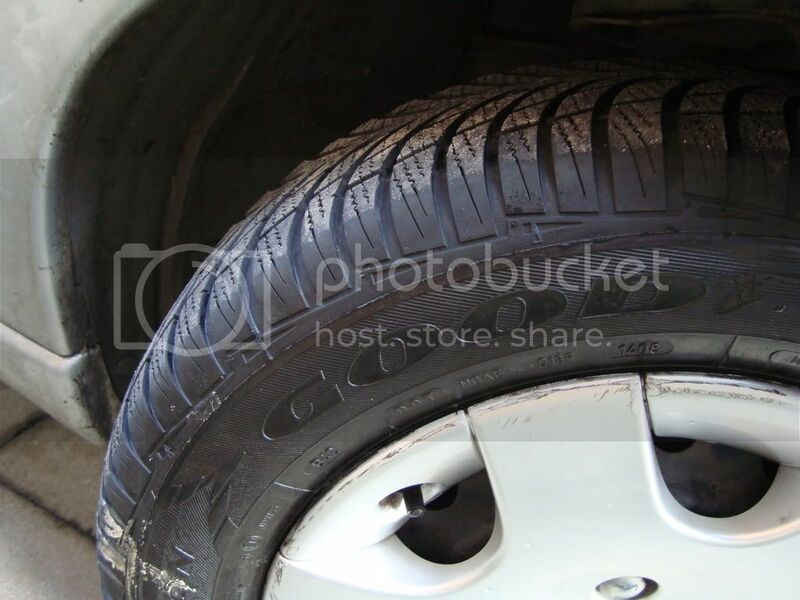 Looking at the direction arrows on your tyres, it looks like they are fitted the wrong way, I would check to confirm.